It's A Wireless World, But Is It Safe? The mad rush to integrate wireless technology into every aspect of our lives is racing ahead, fueled by a powerful and relentless telecommunications industry. Speculators hoping to cash in on the boom, and political leaders (and consumers) are woefully unaware of emerging science linking wireless exposure to negative health effects. But the voices of caution are beginning to make themselves heard, and it may be just in time. Our guest a few weeks ago on our Green Street radio show, Deborah Kopald, was eloquent in her description of the problems inherent in wireless technology, and what may be in store for us in the future unless we act quickly.Among other things, she alerted us to the actions of the FCC, which is supporting the dismantling of the current national wired infrastructure. 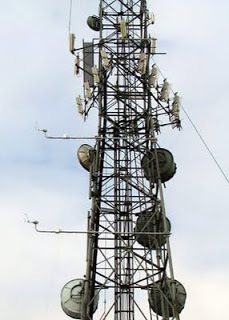 This action will result in the eventual but unavoidable adoption of wireless technology for virtually all communications. While the opponents of wireless don't yet have enough research to conclusively prove the link between chronic low-level exposure to non-ionizing radiation and cancer and other health effects, there is mounting evidence pointing in that direction. As a result, other countries (where governments may be less prone to industry pressure) are acting to protect their citizens by limiting the use of wireless technologies, and in some cases, removing existing wireless installations. At the very least, we need to protect our most vulnerable populations - children and pregnant women - from needless exposure to wireless radiation. Schools should be "wireless-free" zones, and women who are expecting should learn to un-plug wireless tranmitters at home when not in use, especially wireless baby monitors. It's frustrating that the burden of protecting the health of the citizens in this country is being borne increasingly by individuals and non-profits, instead of the government which has both the resources and the responsibility. For a few years after college, our daughter Maggie, a trained architect and green designer, had a small business helping clients make their homes and apartments healthy and energy-efficient places to live. Many of her clients had small children, and one of the things Maggie always recommended was a "kill switch" in the child's bedroom that would shut off all the power in the room to eliminate electro-magnetic fields, as well as save energy. The political uproar over fracking in New York reminds me once again how companies with money and political connections can force us to have the wrong conversations about energy - conversations which are divisive, unnecessary, and which successfully divert our attention from the obvious truths right under our collective noses. Hands down, the cleanest, cheapest and most abundant energy resource in America today - and one we can utilize tomorrow without building infrastructure or power plants - is conservation. The potential of conservation dwarfs the alleged potential of fracking, or even nuclear energy. According to a study from the German Aersoapce Centre, a 47% reduction in worldwide energy demand is possible in the future if we get serious about it. Which brings me back to Maggie and the Kill Switch. 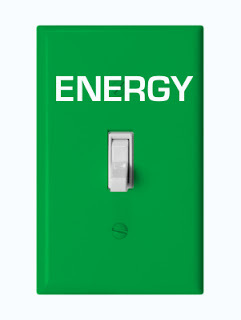 Shouldn't every home, apartment and business be required to have an "Energy Kill Switch" just inside the front door that would automatically adjust the thermostats and shut off power to every non-essential outlet? Keep power to the refrigerator, the freezer and the alarm system, but kill the lights, the computer, the cable box and all our other appliances that are plugged in and draining small - but measurable - amounts of energy every minute? We could generate tens of thousands of jobs, reduce greenhouse gases and save billions of dollars while we reduce our energy requirements and finally achieve true energy independence. As a side benefit, we could tell the fracking companies to go home.